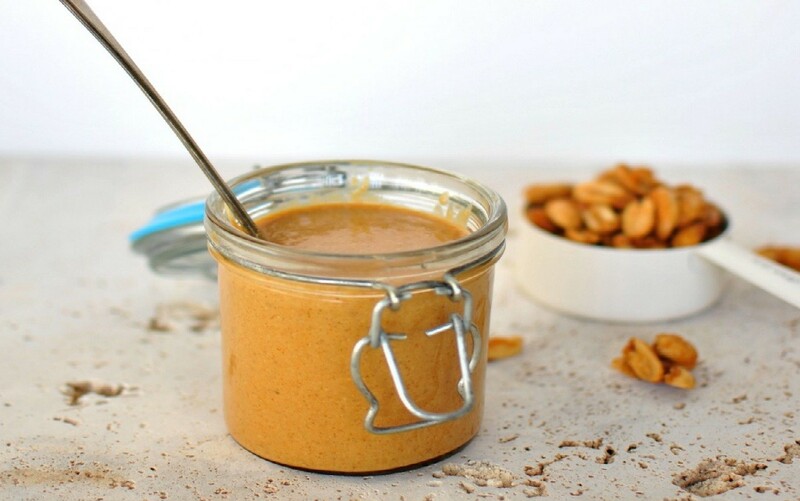 Peanut butter: cheap, fast and easy! Having tried once, the taste is difficult to forget or confuse something. Viscous, moderately sweet or very salty, like peanut butter and children, and adults. Although peanut butter - a traditional product of American cuisine (and buy it a few years ago we had practically impossible), now on the shelves is not uncommon. But that's part of not always happy (and sometimes very upsetting: hydrogenated fats (The so-called trans fats) or palm oil reduce the full benefit of this product is not), and the price sometimes unreasonably high. One day, I set out to prepare a peanut butter itself. I am ashamed to admit I had no idea how it's simple. And most importantly - your toothpaste can be most helpful: without unhealthy fats, sugar or preservatives. 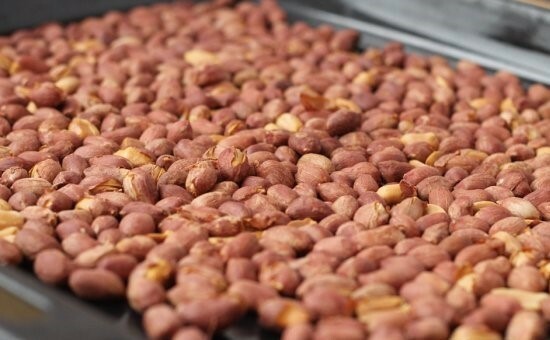 Peanut butter can be prepared from roasted peanuts, as in the original recipe, and then it will be with a distinctive brown hue and authentic taste; and can be used and unroasted - of course, the product of raw materials is much better and also less tasty! All on your taste and discretion. I'll show you the basic recipe, but you do it will be able to add, change proportions, add favorite spices, syrups, honey types, making a strong or weak roasting. *You can also use raw peanuts (after washing and dry it on a towel) - Use this paste is undeniably higher. The taste is a bit different, but, as for me, not for the worse :) All the amateur, I'm more likely to do just such a paste. Either use 50: 50 fried and moist. First, let's deal with peanuts. If you buy raw, then wash it, dry it a little bit on a paper towel and spread out on a baking sheet and send in a preheated 180 degree. oven for 5-10 minutes. Keep in mind that the time will depend on the color intensity and taste of the product. But do not overdo it - peanuts can burn. If you use the raw, then clean it is not necessary. 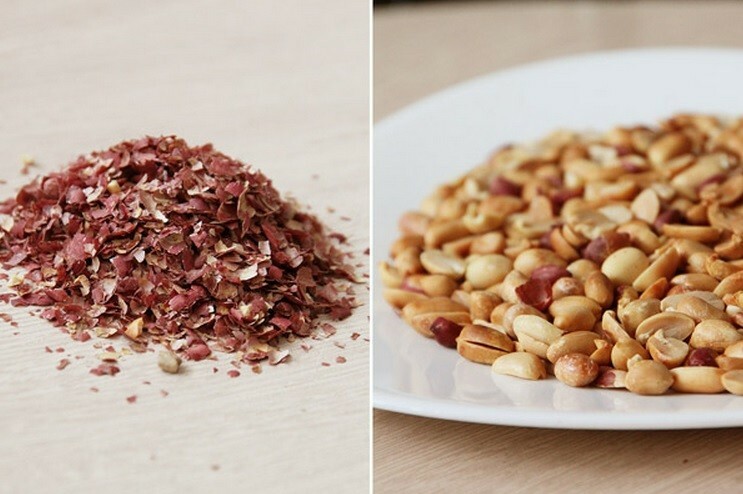 Nuts put into a blender (large mill), it must be sufficiently powerful and with big knives, or paste can not be obtained. Beat on medium and then high speed for about a minute. Open, scrape the sides (if necessary) and add salt, a little honey / syrup. Again whisk 1-2 minutes. At first it will seem that nothing is happening, and nuts only to grind into a fine crumb. Add the remaining syrup and a little oil. Continue whisking and stirring periodically opening. Oil type in several stages. If, however, you feel that mass is very thick, you can add a little water (but keep in mind that since the paste is stored less). In total, whisk until smooth 5-8 minutes. Cooked pasta expanded in jars and store in refrigerator. Here's a simple recipe: cook quickly (and cheaply :), and have tasty and healthy! PS Do not forget the high-calorie foods (about 600 100 kcal per gram), so do not overdo it!